Hello to you, my readers. I apologize for the lack of attention that I have been able to give to SOAM for a very long time now. In truth, it sits like a brick in my stomach and I try to avoid noticing because, frankly, there is nothing I can do about it right now. 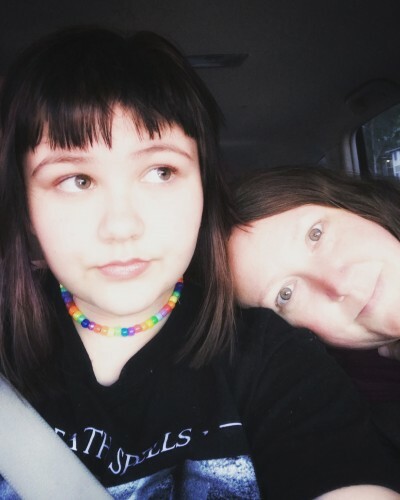 For the past year and a half my daughter, who is about to turn sixteen, has been battling depression, extreme anxiety, and suicidal ideation. (Yes, I have her permission to share this publicly.) It has been a full time job just to keep her alive, in particular because the system is so, so very broken. I wrote here about our struggles simply to find appropriate care for her. (Please, if you can, share that link. I want people to know exactly what is going on.) Even after I wrote that, the systemic negligence has continued. It frustrates me beyond belief to know that the stigma is built directly into the system (for what other illness would you be told that your child can only receive thirteen treatments?). It frustrates me that even just talking about it makes me worry who will believe the severity of the struggle my family is facing? As it turns out, the brain is also a part of the body, so a mental illness is just as much a physical illness as diabetes, or asthma, or cancers. Anyway, I digress. The point is that right now I am trying to help heal my teenager, fight the system, somehow still parent my other child, continue my education, and do all the other things that one must do simply as a part of life. I struggle to find time for SOAM right now. This website is my passion and my soul. I have one more semester after this and I plan to put a crap ton more energy to growing SOAM and moving forward into new areas with it, as well as working to advocate for and education on body image issues, and other feminist work that needs to be done in the world. I am absolutely NOT leaving SOAM or closing it. I will continue to post entries that are shared, although I admit I may not get to it as regularly as I would like to – I apologize. Please, don’t hesitate to share your story here, just be patient with me. I’m sure you all understand that our children come first. You do know what you need to do mama! You’ve done wonderful things. Take all the time you need. The world will be right where you left it. Your site has been so healing and empowering for so many women (myself included). Do what you need to help your beautiful girl heal; your (and her!!) bravery in being so open is inspiring. Do what you need to do. Blessings to you and your girl (and the rest of your family) during this struggle. Mental illness is absolutely a physical illness. Why this is so difficult for so many to understand is a mystery to me. Thank you so much for posting this! When I was 15 my best friend, first love and first everything killed himself. It literally has taken its toll on me even though it has almost been 20 years and I am happily married with 2 sweet boys. It only added to my depression. With the birth of my last son, came extreme postpartum depression and I am still struggling with major depression 5 years later. I have to take medication to keep me sane. Anywho, I hope your daughter is ok and that she finds what works for her. Being a teenager is hard enough without depression. I will keep you and your daughter and family in my prayers. I had a c section with my first baby, I will send you some pictures once you comment back.